DALLAS, Dec 8, 2010 / FW/ — Office parties in full swing, holiday travel on the calendar and Christmas dinner to think about… the little black dress is so in demand. So, how do you differentiate your LBD from others? The answer is simple – accessories… specifically necklaces. Diamonds might continue to be a girl’s best friend, but these on-trend and fashion forward necklaces from Chico’s is a girl’s BFF this holiday season. 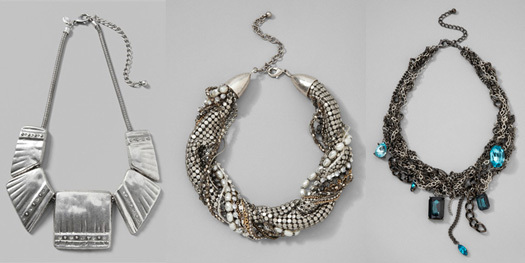 Statement-making jewelry, you don’t need to add anything anymore to your LBD when you’re wearing these.